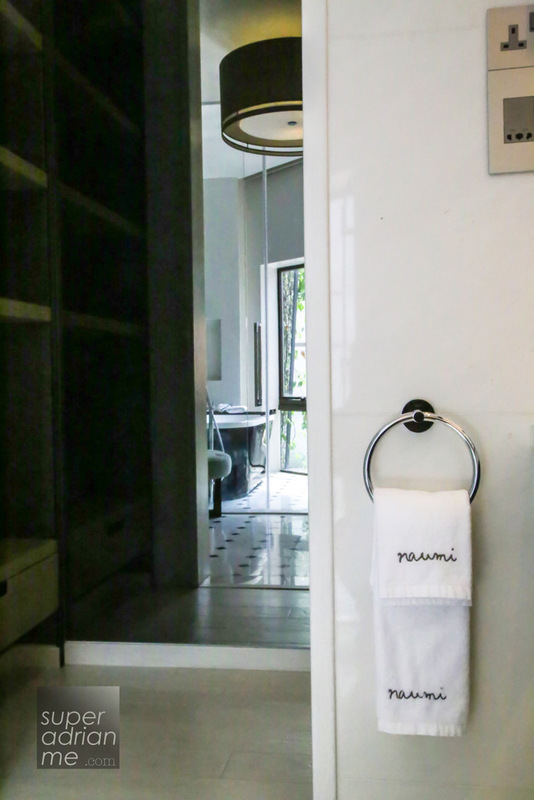 Last December we stayed at the Coco Chanel inspired room at the Naumi Hotel Singapore located in Seah Street. 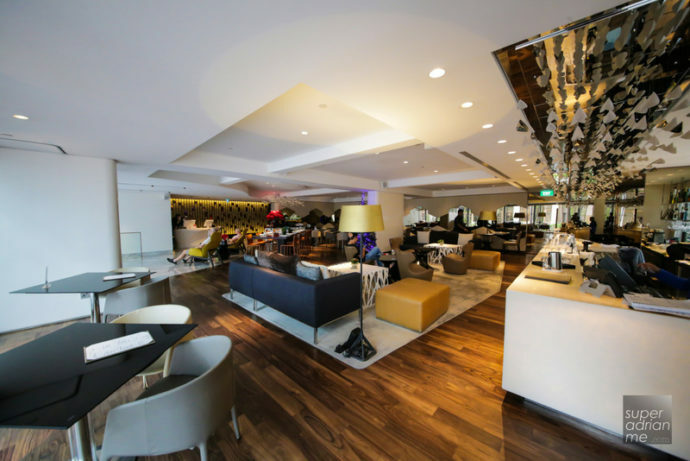 This Small Luxury Hotels of the World boutique hotel is located close to many other hotels including the Raffles Hotel Singapore, the South Beach Hotel which opened late last year, Swissotel and the Fairmont Singapore and also Intercontinental Hotel Singapore. First opened in September 2007, Naumi Hotel has undergone major renovations and reopened November 2013 offering 73 rooms, more than before. 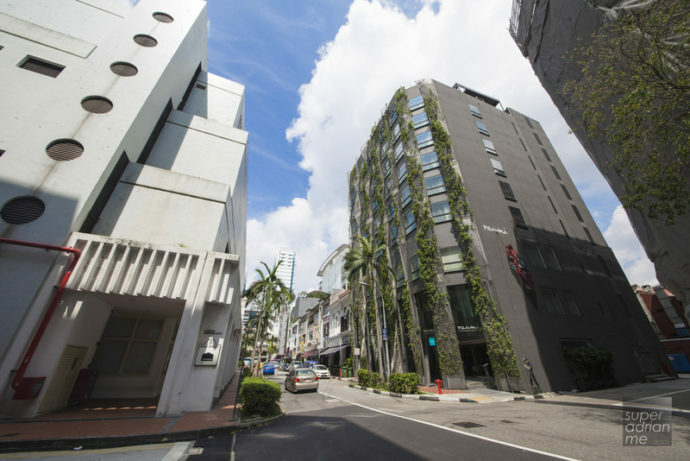 There are also many eateries, cafes, coffee shops and bars located along Seah Street as well as the other adjoining streets. Don’t forget to drop by Chin Chin Eating House at 19 Purvis Street for its signature Hainanese Pork Chop and chicken rice. There is also First Thai coffee shop located directly opposite from Chin Chin which offers tasty portions of authentic Thai food. 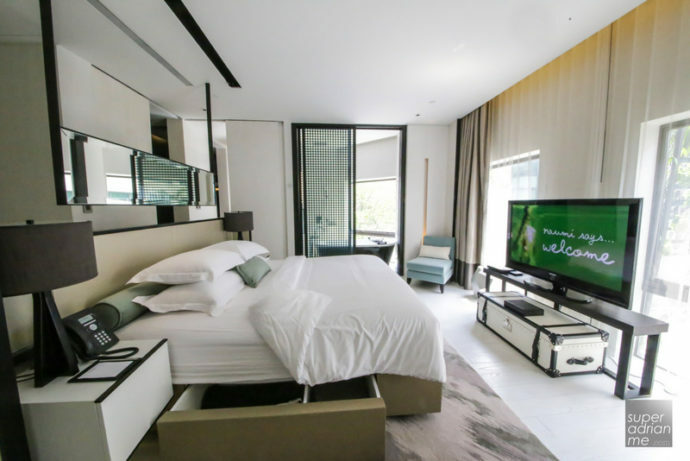 Travellers visiting Singapore will find this location more than perfect as it is also close to the shopping smalls such as Raffles City and Bugis Junction. City Hall, the nearest MRT Station which serves as an interchange for the North-Sound and East-West lines, is a short walking distance from the hotel. 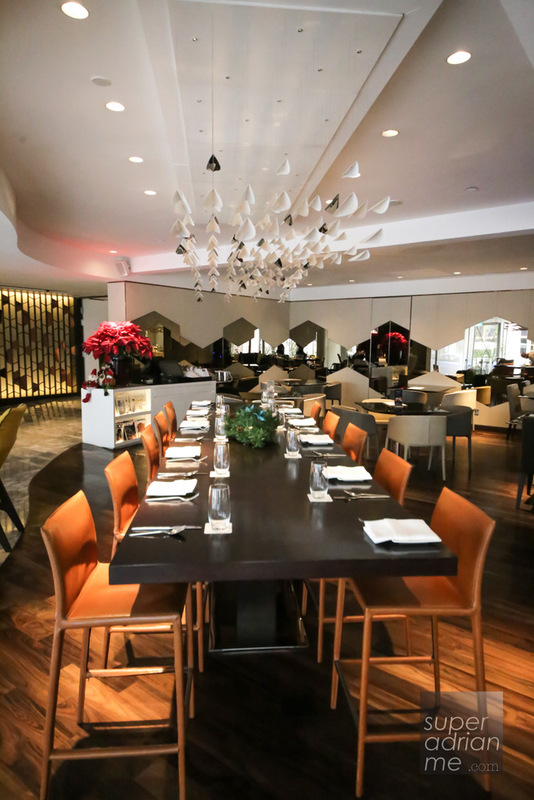 Step into the Coco Chanel room and you see a spacious home away from home. If you prefer hotels that are not cookie cutter, Naumi Hotel offers you just that with a flair of character and individualism. Coco Chanel is one of the hotel’s themed rooms. 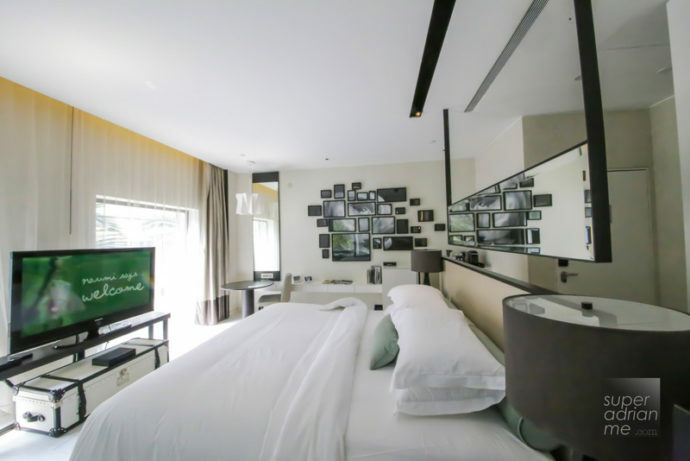 The room gives a clean spacious ambience with shades of white and black. 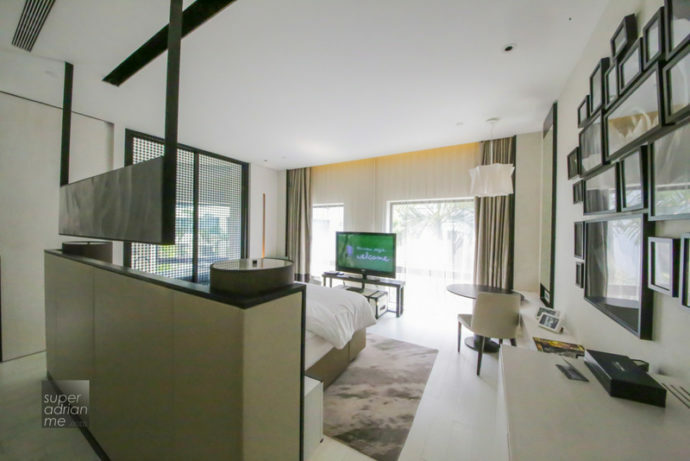 The room cleverly utilises the space offering partitions between the bedroom and the toilet, bathroom and a walk-in wardrobe. This room’s toilet is separated from the bathroom. The shower and bathroom is separate from the wash. basin area. 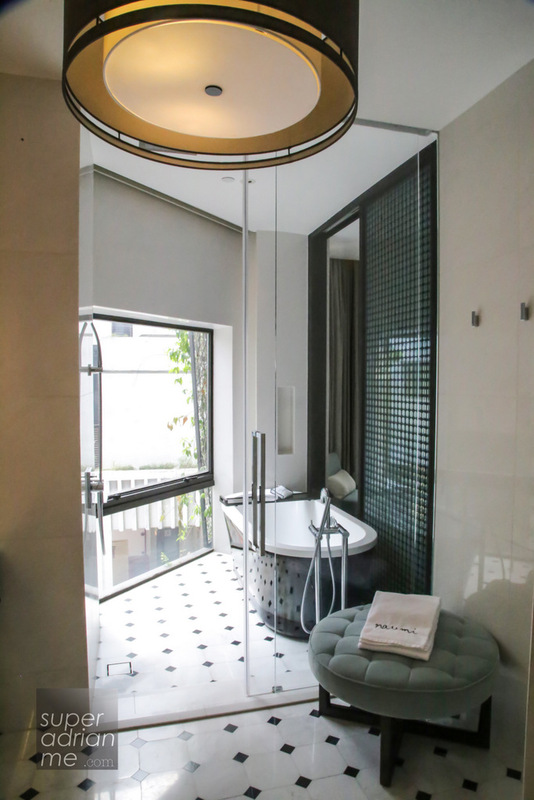 The bathroom’s sliding doors facing the bedroom has an electronic privacy screen so you have the option of leaving it clear should you decide to soak in the bathtub while watching a movie. 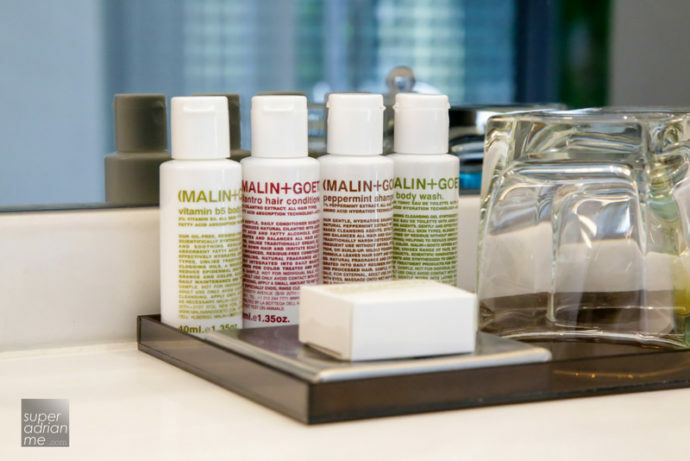 Guests at Naumi Hotel Singapore get Malin+Goetz’s range of toiletries. The family owned and operated New York apothecary has a philosophy of sensitive skin care. I particularly like the peppermint shampoo especially with the hot Singapore weather. 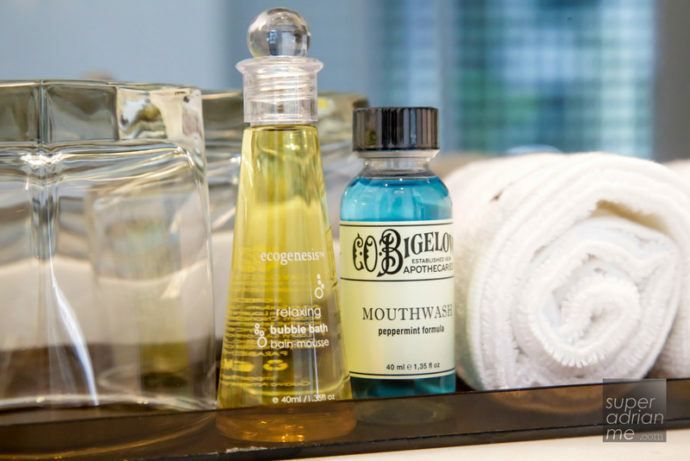 Most hotel rooms with bathtubs provide only bath salts. 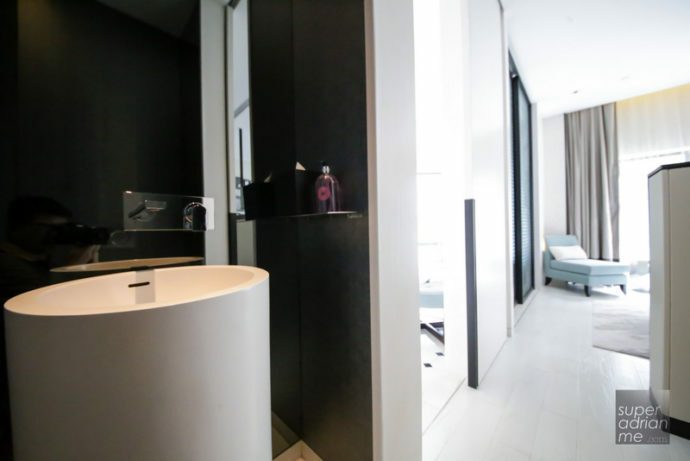 The Naumi Hotel has upped the ante by providing guests with ecogenesis relaxing bubble bath. Even the mouth wash comes from C.O. Bigelow Apothecary, America’s oldest Apothecary. A Pamper Me amenity kit is provided to guests. The kit contains toothbrush kits, shaving kit, comb, scrub, shower cap, and other essentials. The kit may be basic, but it is still a thoughtful touch. 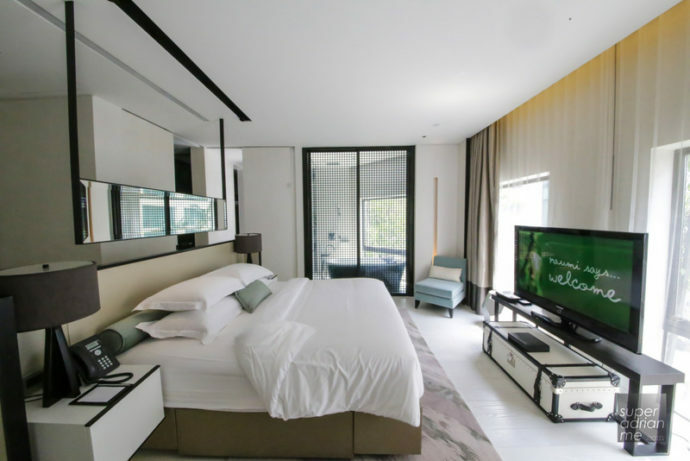 Another hotel I know that provides amenity kits to its hotel guests is The Temple House in Chengdu. Women get a sanitary napkin and a facial mask in a women’s amenity kit. A hair straightener is available on request. The other hotel that I have come across which offers women’s amenities is the South Beach Hotel. Personally, I like the tongue-in-cheek nature of the hotel. Spare toilet paper comes in an outer cover that says Spare Me, the laundry forms look like a tee shirt. Hot Tea and Coffee. All Free. Naumi says “Some things in life are free” so are the Nespresso Coffee, in room soft drinks and snacks. Of course if you need more than what is provided, there is a 7-Eleven nearby for you to stock up. Or for more substantial stuff, head over to the supermarket at Raffles City. Ear Plugs if you are too sensitive to noise. Ear plugs are provided by the side of the bed if you are sensitive to noise. 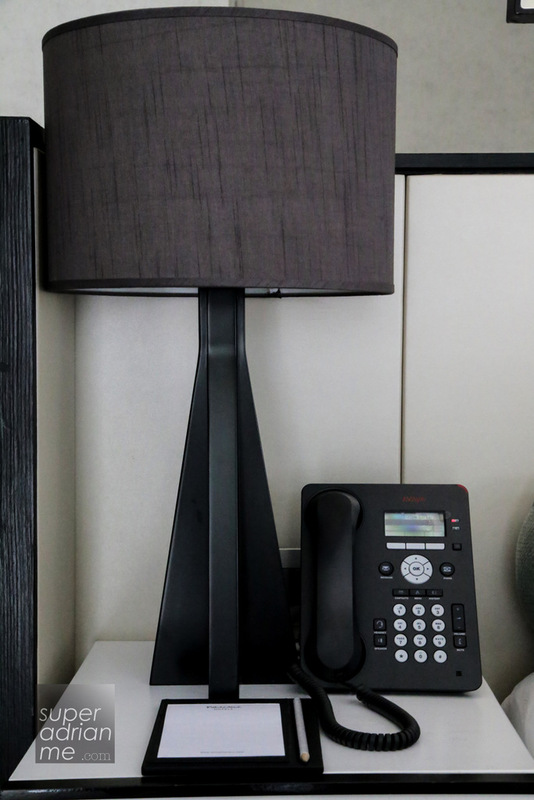 A diffuser is also available in the room if you like your room scented. 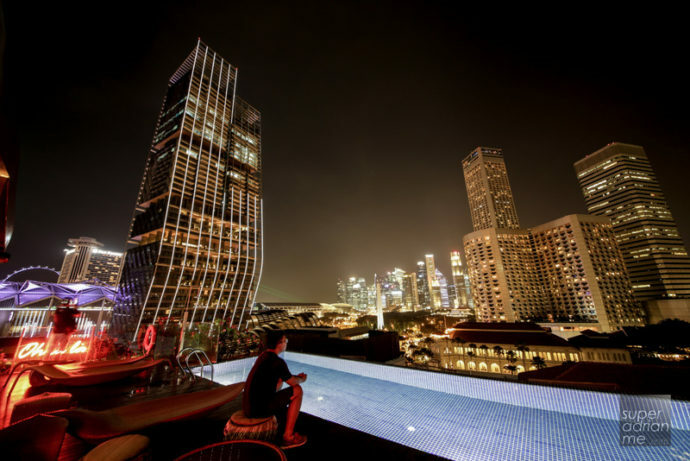 Head up to the rooftop where the infinity pool and bar awaits you. Sunset is the best time to be up here. 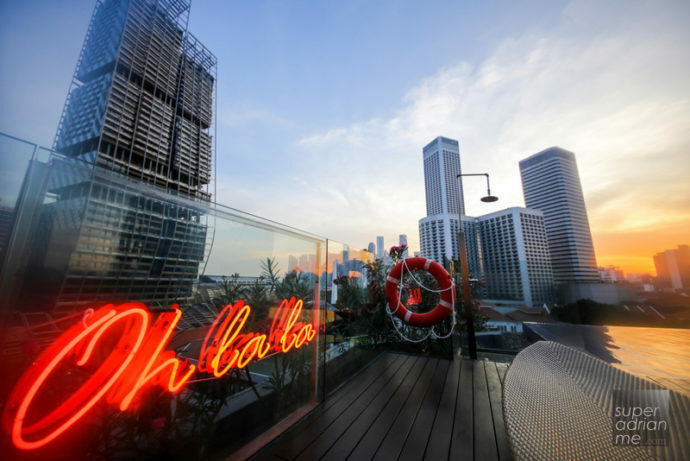 Enjoy the Singapore skyline while you sip a cocktail. This area is exclusively for hotel guests only. 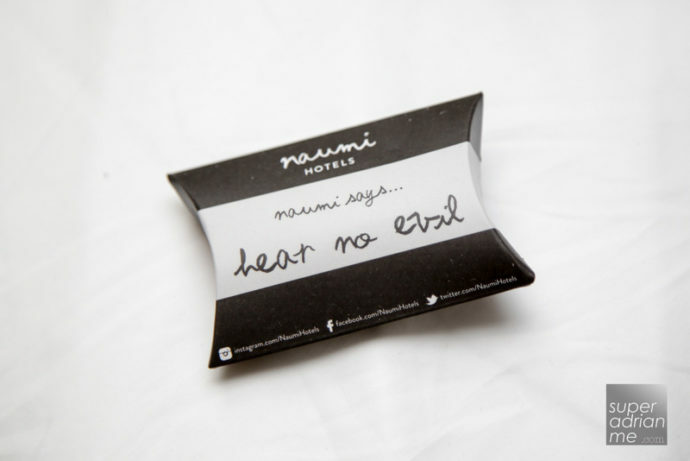 Naumi Hotel is located at 41 Seah Street, Singapore 188396. Naumi Hotel is a member of the Small Luxury Hotels of the World. 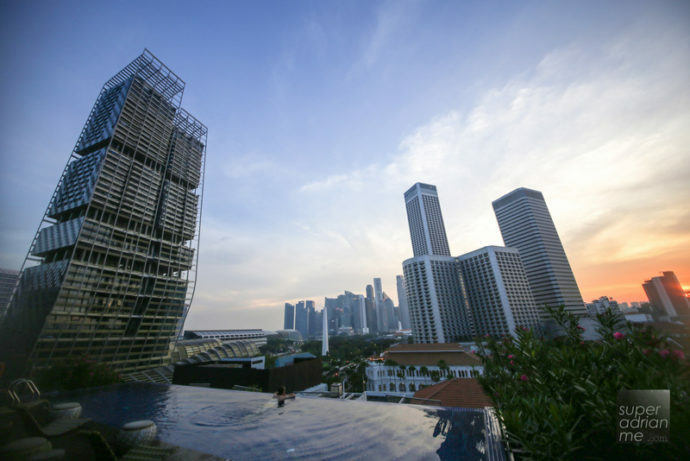 In my opinion, this is one of the more value for money hotels in Singapore with a view. 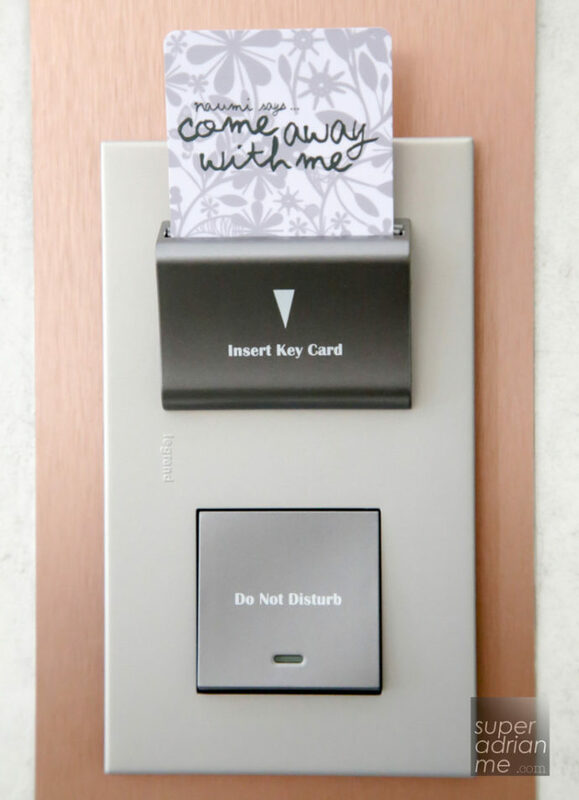 While we were staying at the Coco Chanel Room, we did this video featuring the airline loungewear provided in the premium classes of Cathay Pacific, Qantas, Qatar Airways, Singapore Airlines, Thai Airways, Air India and Etihad Airways.